Previous Post : How is AI revolutionising the future of digital marketing? Social Media is changing. Here’s what it means for you. Social media was designed to bring people closer together. These days, all we seem to hear is how well it can push people apart. Social media offers phenomenal opportunities to businesses and organisations alike. Whether it’s finding and engaging with customers, getting real-time feedback and providing customer service, social media has taken brand communication strategies to a whole new level. Social media offers opportunities. It also offers challenges. Platforms like Facebook and YouTube pride themselves on their ease of access. Anyone (over a certain age) can create an account and start sharing content for free. This has led to huge issues around moderating content on their platforms. Whether it’s trying to keep a lid on videos of the Christchurch shooting, or major Aussie firms like Woolies pulling advertising from YouTube over concerns their ads were playing in front of unsafe content, it’s clear that organisations need to keep a careful eye on the ways they use social media to protect their brands. What’s the big deal? Can’t we just slap some laws on the problem and forget about it? Assuming you can get past the lobbyists in the first place, regulating social media is still a bit more complicated. Part of the problem is the way social media platforms have permanently changed our “information environment” Chris Zappone, Foreign News Editor at The Age argued during a seminar at the ANU’s National Security College. Before social networks, the broadcasting of information was relatively restricted. Newspapers cost good money to publish, radio and TV news broadcasts only came out a few times a day, and all these distribution channels operated under a high degree of regulation. These days, Zappone notes, the news cycle never ends. Log into Facebook at any time of the day or night and you’ll find people discussing ideas around the world. This breakneck pace means that there’s no time for context: if one person (or bot) makes an off claim, people tend to take it verbatim without stopping to fact check the source. This can lead to some interesting phenomena (check out the rise of ‘flop accounts’ where millennials debate issues in the comment section of memes on dedicated Instagram accounts) or the truly heartbreaking. After a recent school shooting in the United States, conspiracy theorists used Twitter to accuse the survivors of being actors trying to sway the American gun control debate, much to their families’ deep distress. Western society holds freedom of speech dear, but what that actually looks like in today’s media environment is complicated. It’s never been easy to define what free speech is, or how we should protect it. Discussions on the subject go back as early as 399 BC, but it’s fair to say the idea of letting people hold and share their own view un-coerced is a fairly common part of definitions today. How, Zappone asks, can this freedom truly exist in today’s media landscape however where we are as likely to be exposed to fiction as fact, spam accounts next to serious news outlets? Rachael Falk, CEO of the Australian Cyber Security Research Centre has similar concerns. Australia classes any site that allows you to reproduce content (e.g. articles, comments, videos) as a publisher, which brings legal responsibilities around the kinds of content hosted. In America however, where social giants Twitter & Facebook are based, they’re legally classed as a software platform, not a content publisher. This means they have no legal responsibility for auditing the content they host, keeping operating costs down and giving them the funds to build incredibly powerful information-sharing machines. So what happens when people in Russia decide to run ads in Australia? Or leave misleading comments on valid posts from trusted news outlets? Social media is still a valuable tool with almost unprecedented reach, but careful planning is needed to succeed. If you’re using social media for your organisation, it’s vital to take note of the major ways platforms like Facebook & Twitter are changing. Facebook has drastically restructured the way their platform works, automatically placing content from people you have strong relationships with (like friends and family) higher in the Newsfeed above content from businesses. When you’re creating content, it’s vital to share posts that provide value to people. 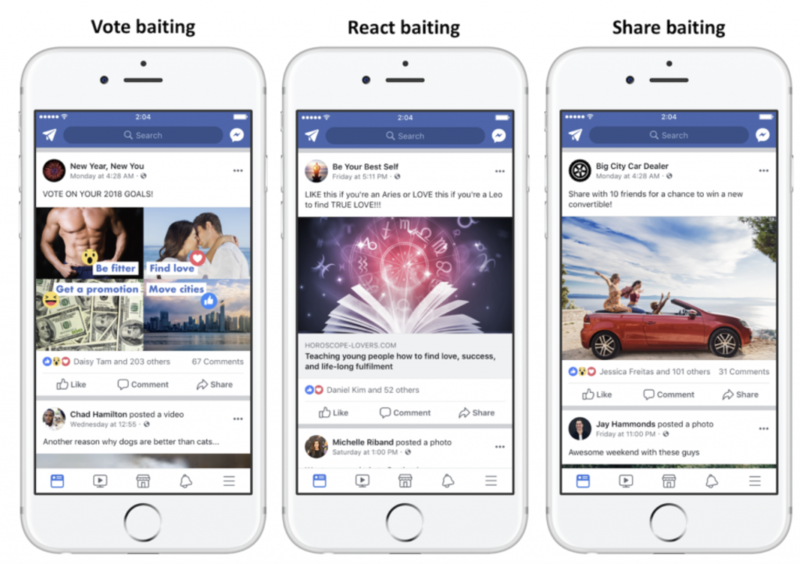 A year ago, brands would often try to get their posts in front of people through clickbait (posts that encourage reactions from browsers to try go viral.) While this was a useful strategy for some businesses in the past, we’d recommend treating clickbait with caution these days. Asking for shares, likes or comments signals to Facebook that your post is likely to be low quality, and it’ll be demoted in the feed. As a business, focus on creating content that provokes discussion and sharing. Facebook wants to encourage people to stay on the platform and enjoy high-quality experiences. In the Wild West days of social media, it was common to see people using third-party tools (often referred to as “bots”) to like and interact with their content, making it seem more popular. Ever got random comments on an Instagram post that don’t seem to connect with what you posted? That’s a blogger using bots to try entice you to view (and follow) their own account. Because of fears around fake news, platforms are taking a stronger stance on such inauthentic activity than ever before. 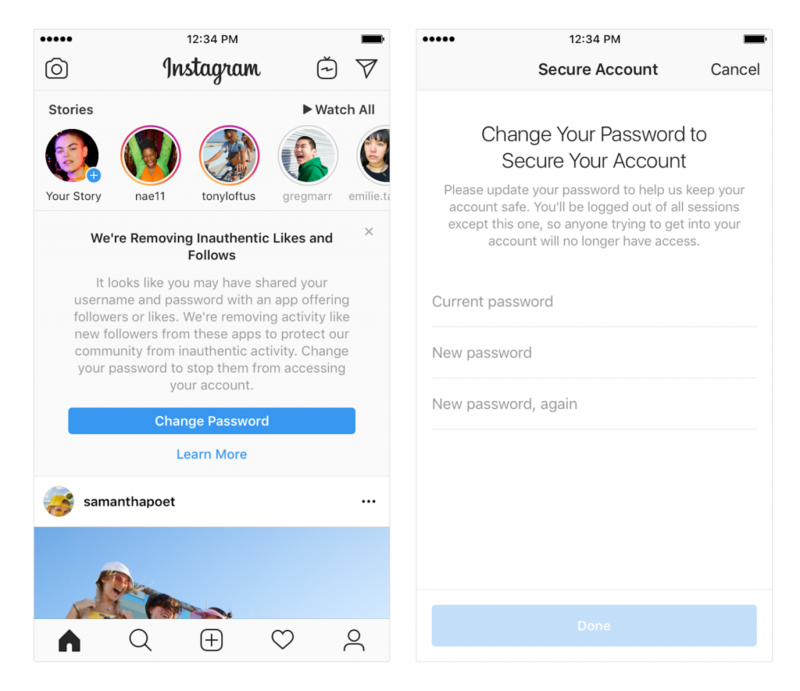 Instagram is steadily removing fake followers, likes and comments from their platform (and Twitter is banning accounts they suspect of using bots too). If you’re using bots to drive engagement with your posts, this can hurt your brand. Australians are savvy digital consumers, and will often spot fake engagement. If you’re not getting engagement, that’s good to know! Low engagement is a helpful indicator of when it’s time to refresh your communication strategy. After all, no matter how popular bots make you look, they’ll never be customers. If you’re a large organisation, it’s worth investing in some form of social listening tool to keep an ear out for mentions of your brand. People love using social media to reach out to large companies and organisations with their feedback, positive & negative. Making sure each complaint is noticed and responded to is vital for driving positive sentiment. 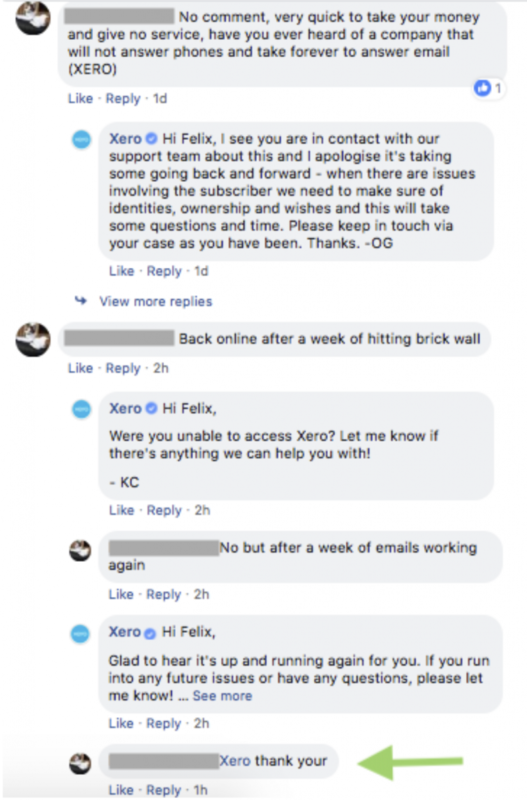 A great example of the Xero customer team transforming a negative experience into a positive one through fast, respectful service. Many tools will create records for each commenter, showing your previous chat history & even the sentiment of their comments. Keep track of negative sentiment (and turn negative experiences into positive ones through swift responses). Success on social is still possible in a fake-news world. It just takes a bit of careful planning and positioning. If you’re looking to represent your organisation well through social media, it’s important to keep up with trends in the wider landscape. Questions? Comments? Feel free to get in touch. Our friendly team of social media strategists are here to help you. Next Post : Buying Twitter Followers: How and Why not?